When I was younger I had a phobia about casinos: I thought only pros belonged there and just thinking about going made me break out in a cold sweat. I was convinced that if I ever went I would make a complete fool of myself and go broke: sadly the word fool doesn’t begin to describe the disaster that was my first gambling experience. Lucky for you though, I got over it and now I can share my advice to help you have a lot of fun and maybe even help you make a lot of money. 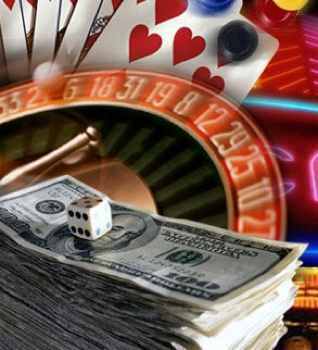 Here are my tips and tricks for gambling novices who are going out to the casino for the first time. Okay you probably just read that and thought: “huh?” but it actually makes sense: if you gamble just to gamble you have a better chance of winning and having a good time. I once went to A.C. and watched my friend lose over 3,000. She was never up and should have quit after the 1st thousand, but she was desperate to make some money for her rent. The point is if you’re going to gamble to solve your financial problems you’re never going to win. The odds of you winning that money are, well, let’s just say the odds makers in Vegas wouldn’t even touch that one. That sounds pretty simple, but some games have rules for their rules. On my less than successful first trip to the casinos I decided to play blackjack. I knew the basic rules and felt pretty confident I could win some money. I lost the first couple of rounds, but I was having fun: until I noticed everyone giving me dirty looks. Turns out I didn’t know all the rules. I had been hitting on 16 (I know I’m a fool!) which is a big time no-no. When you hit on 16 you’re probably going to go over 21, therefore you are wasting a card that may be of use for someone else. So know all the rules: sit and observe before you play otherwise you may stick out like a sore thumb. It’s great to get free drinks all night long, but it’s not great to work for free. You should always tip the waitresses who bring your drinks. The waitresses are not the ones giving away those drinks, they just serve them – your tips are what helps them pay their bills. In some states, like NJ, they are paid under minimum wage. Plus, they have to deal with some not-so-nice customers after being on their feet for hours. Think of it this way: a tip can ensure you get better service and sometimes higher end stuff. Casinos can be extremely crowded, a tip can make a worker feel appreciated which 9 times out of 10 will get you your drink faster. Choose the right slot machine: you probably have heard that a slot machine at the end of an aisle is more likely to be used and therefore, more likely to pay out. In my experience those machines don’t it more, but the slot machines in the center of a room on a raised platform do. Those machines are on display for one reason only: to attract players and draw them in. So they tend to pay out more and more often. Worry about your own hand in blackjack. Most people worry about what the dealer has or beating him. In reality, what the dealer has is a distant second to your goal, which is to get 21 or as close to it as possible. So concentrate on your hand and bets, double and split when you can and watch your game improve. Don‘t play every hand of poker. This is a sure way to lose your money quickly. You are not always going to have a winning hand or one that’s better than everyone else. What’s more, if you’re new to poker you probably need to work on your poker face. So fold as often as you want to, it will give you a chance to study your competition and keep you in the game. With poker it’s about quality, not quantity. These tips should help beginning gamblers feel more at ease and confident in their casino play. Remember, above everything else gambling is a fun diversion. If you take it too seriously it will lose its charm and become just another job for you. So get out there and have fun, you just might win some money while you do.